For gentle cleansing of the whole body. With natural oils, DMS®-compounds and sugar tensides. 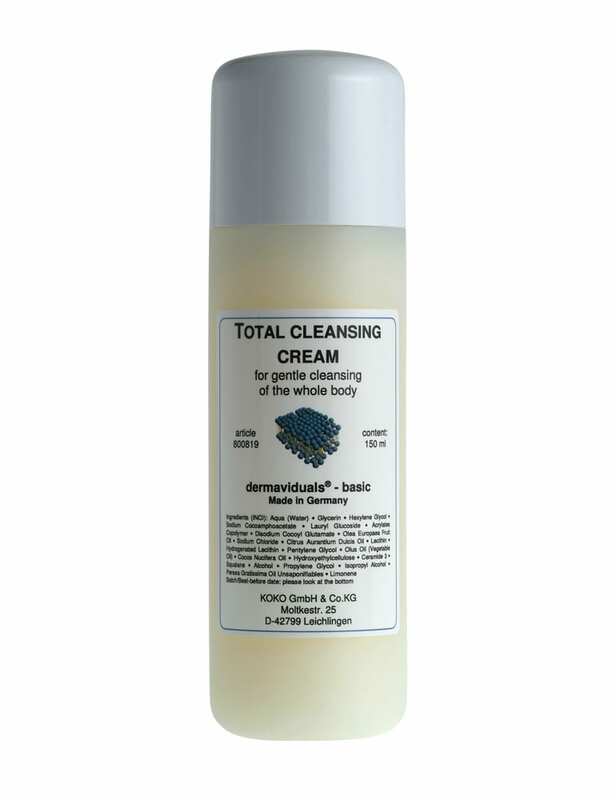 The Total Cleansing Cream contains gentle tensides with additional natural oils and DMS®-compounds. Used all over the body, it can be also applied as a shampoo for the hair. It can be applied on all skin types and is recommended for sensitive and problematic skin. This cleansing cream does not contain any preservatives which can cause allergies. Because the individual odour of the tensides the product contains an orange oil. The shower cream is applied on the moist skin and rinsed off with water after cleansing.